First and foremost, if you have a pre- or post-nuptial agreement, it may be affected by the tax changes. In fact, the new rules may nullify some terms of these agreements, which means that you absolutely should consult with your attorney, and you may have to be prepared to re-negotiate some terms of the agreement. The tax law eliminated the $4,050 exemption for dependents (through 2025); however, it also doubles the child tax credit from $1,000 to $2,000. In addition, the credit phases out for individuals who make more than $200,000 and couples that make more than $400,000. Deductions on state and local income taxes are now capped at $10,000 and mortgage deductions are capped at $750,000. To offset the loss of the alimony deduction, the higher-income spouse can consider giving an Individual Retirement Account (IRA) to the lower-income spouse, as that shifts the tax burden to the lower-income spouse once that the IRA is accessed (similarly to the way alimony payments worked prior to the changes in 2019). Divorcing couples may also want to consider payments for property division instead. 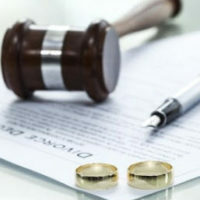 While the nuances of the new law will have to be worked out by divorce attorneys over time, especially when it comes to how this new law will affect divorce negotiations, and every financial situation is unique, you may want to consider discussing a lump sum arrangement with your ex as divorce payment, as this can be easier to plan for and also eliminate some of the tension potentially caused by the loss of the alimony deduction. However, keep in mind that the tax rules will not change for those who are already paying/receiving alimony pursuant to a divorce decree entered into and filed prior to January 1, 2019. Still, if you make changes to your divorce settlement in 2019, you could be subject to the new rules. Our attorneys focus on all areas of family law, including alimony, child support, divorce, equitable distribution, parenting and time sharing, and serve clients in Fort Lauderdale, Fort Lauderdale, and surrounding areas of Florida. Contact us at Trachman & Ballot-Lena, P.A. to find out more.